We've been in business since 2005, providing tree service to Hudson and Pasco County. Saying we take pride in our tree service work would be a huge understatement. We remove dead or dying trees, trim up overgrown trees, reshape out of control Palm trees and remove unsightly, dangerous tree stumps. Providing safer homes and businesses for all of our customers. We turn your backyard into a safe and usable area again. Whether you own a home or business we'd love to handle all of your tree care needs. 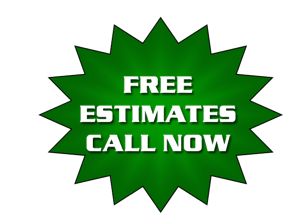 We service Hudson, New Port Richey, Trinity, Port Richey, Lutz, Elfers, Holiday, Land O'Lakes, Odessa, Dade City, Zephyrhills, Tarpon Springs, Palm Harbor, Dunedin or Anclote, that is affordable, professional, experienced and reliable, look no further than Supreme Tree Service. We service both commercial and residential customers in Pasco County, Hernando County, including Spring Hill, Brooksville, and the surrounding areas. Call us today at 727-469-7787. We're Pasco’s #1 tree service company and we'd love the opportunity to show you how we earned our reputation.